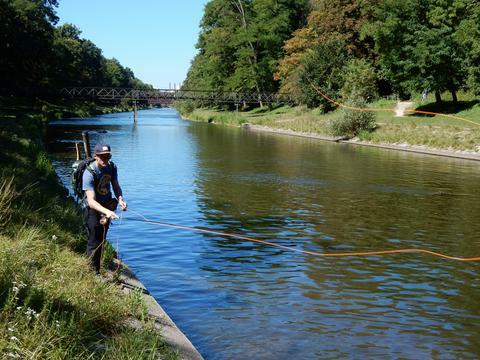 Following his fascinating feature on fishing in Basel at the end of last year, Martin Pütter has very kindly written this guest post that’s designed to unlock the complexities of fishing across the whole of Switzerland (urban and otherwise). Thanks Martin… luckily for us, it looks like it’s mostly easier to be a visitor than a full-time resident! In one respect I shall be forever grateful to Switzerland. It was here that, as a kid, I discovered fishing. But soon I also learned that fishing here is affected by something the Swiss excel in: rules and regulations. Switzerland has 26 cantons, each with their own cantonal parliament (the Swiss excel in devolution, too). If you now guess that there are 26 different fishing laws in Switzerland, you’re wrong. Could it be 27, as the Federal Government in Berne can also issue fishing laws? Wrong again. The correct number is 28. On some of the major lakes in Switzerland – Lakes Geneva, Lucerne, Neuchâtel and Thun, to name just a few – the (federal) law affecting shipping with paddle steamers and motor vessels also regulates fishing from a boat. 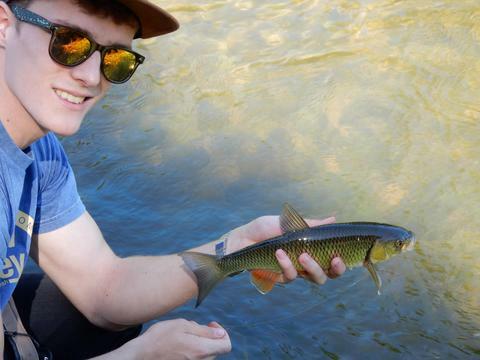 The founder of Urbantrout once experienced Swiss fishing regulations for himself. 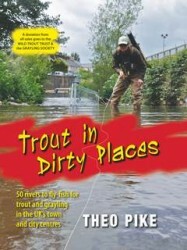 Some years ago Theo spent several days fishing the Doubs in Switzerland, trying to catch those fabled zebra trout. We both lived in London at the time, and when he returned to the UK I asked him what he thought. He was not a happy bunny (That’s quite true! – Ed). Only thigh waders were allowed, and he was supposed to take every fish he caught if they reached or exceeded a certain minimum size. 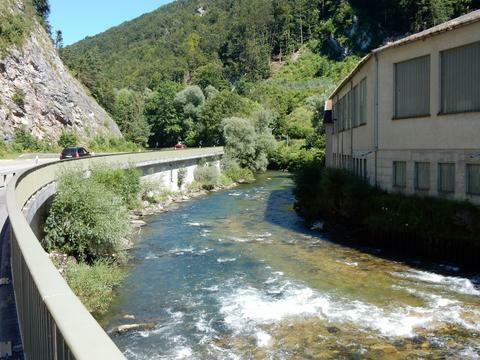 The thigh waders were a cantonal issue – other cantons allow chest waders, but the canton of Jura only allows thigh waders in all its fishable rivers. Taking the fish you’ve caught, on the other hand, is a federal regulation. However, the minimum sizes for each species again vary from canton to canton. So, if you want to practise C&R in Switzerland, either make sure nobody is watching you, or tell the fisheries warden (should one be around) that the fish had not reached minimum size, or come up with an excuse that really makes sense (beware: Swiss bailiffs are worse than the Germans – no sense of humour, either). On one of the rivers where I fish, grayling are considered an endangered species, but they aren’t protected. So, even if a grayling I caught exceeds minimum size I release it – if anyone objected, I’d tell them it’s an endangered species, that it was not my target fish. You may wonder why you have to take fish in Switzerland. To some extent it has to do with a myth. The neutral Swiss believed they were self-sufficient while the rest of the world was at war. Any land that looked capable of arable production was used for agricultural purposes (for instance, football pitches turned into potato fields), and fish caught from rivers and lakes were eaten. That included predators like pike and perch, but also coarse fish species. However, I believe they drew the line at eating chub or bream – I’ve never found a single Swiss recipe for these fish. The good news for angling visitors to Switzerland is that most cantons require Brevet or SaNa only for monthly or annual fishing permits. 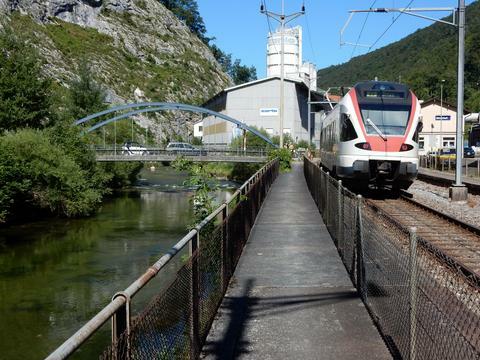 The bad news: some cantons ask for Brevet or SaNa even for day tickets. One of these is Basel-Stadt, another one is the neighbouring canton of Baselland. 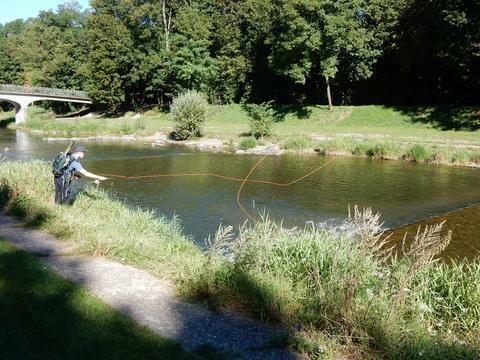 Having taken my exams, I fish in both cantons – the Rhine in the city during the winter, and one of its tributaries (Birs) in Baselland during the trout season. 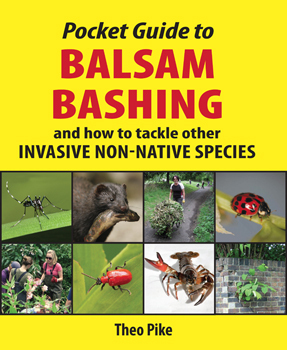 However, many of my English-speaking friends here (there are around 36,000 expats living in the Basel area) can’t fish. They have neither Brevet nor SaNa, because, until recently, you could sit the exams only in German, French or Italian. So, if highly regulated fishing is not your thing, try to avoid Switzerland. But you’d be missing out on a few interesting urban challenges. In Switzerland fishing from the banks of the major lakes (with fixed float, shots and single hook, with either cheese or worm or bread – but no live bait) is free of charge, and no exam is required. Zurich, at the bottom end of Lake Zurich, goes even further: fly-fishing from the banks is also allowed free of charge, and no exam is required here, either. 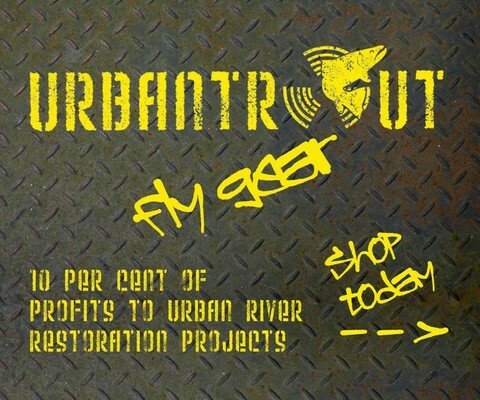 How’s that for an urban fishing challenge? Basically, when you’re fishing in Switzerland, try to keep two things in mind. One is what sets Switzerland apart from Europe and the UK. In many nations you could say that if something isn’t explicitly forbidden, it’s allowed. In Switzerland, the opposite applies: if it’s not explicitly allowed, it’s forbidden. The other thing to keep in mind is that old saying: ‘when in Rome, do as the Romans do’. Tight lines! Addenda (for expats living in Switzerland): there are two opportunities to sit the SaNa exam in English in Switzerland – once a year in Geneva (register under “www.formation-pecheurs.ch/cours-sana” for the canton of Geneva) and 3-4 times a year in Zurich. Courses there held by Oliver Streuli (contact and information either via http://www.firebelly.ch or via info@firebelly.ch). Hi, great article, I am moving to Zurich and this is exactly the information I was looking for. If ZH bank fly fishing is free to all, why do they still hold the courses in English? If I do the course in Zurich can I use the licence in other cantons? Assume any of the Scottish/Irish trout flies will hit the mark?